WHITENING FOR LIFE is an exciting new program we are offering to both new and existing patients! 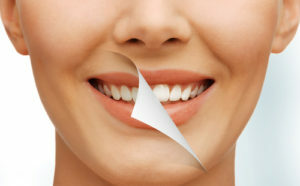 We would love to whiten your teeth and keep them white for life! To keep our schedule and office running smoothly for our family of patients, we’ve found it to be extremely important for our patients to keep their regularly scheduled appointments. As an incentive for you to keep all of your scheduled appointments, we offer the Whitening for Life program! If you have not had whitening with our office but are interested in the program mention it to your hygienist or one of our office staff members and they will discuss Whitening options and pricing with you. In order to provide exceptional services like Whitening for Life to all of our patients, we ask that you give the courtesy of 2 business days for all schedule changes. Any rescheduled appointments MUST be within three weeks of your due date. There are no exceptions so please plan accordingly! Additionally, all appointments are based on availability so we highly recommend scheduling 6 months in advance and keeping all scheduled appointments, as primetime appointments do book up fast! All necessary dental treatment must be completed. Any type of bleaching in the presence of open decay is not safe for you and is not allowed. Free Whitening For Life was developed as a free gift for those patients that are already taking their dental health seriously, and as an incentive for those who need a little help keeping up with or completing their dental care. All accounts must be current. (No outstanding balances). You must be 18 years or older. Any patient below 18 must have parental approval and final decision will be up to Doctor. Minimum gum health is required to prevent complications that may arise with the presence of gingivitis or periodontal disease. Dental bleaching will aggravate and further worsen these conditions.